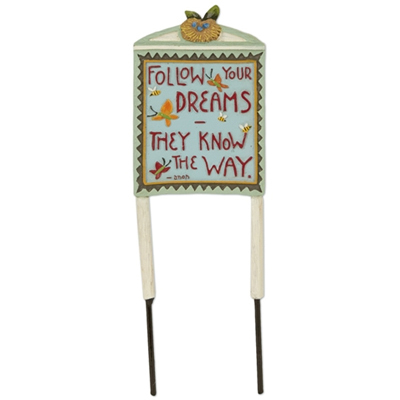 This sign is perfect for the mini garden of a dreamer and go-getter! Decorative miniature sign features all-weather paint in a handcrafted distressed finish safe to place anywhere, inside and outdoors. Measures 1.5"W x 6"H, including the stakes.